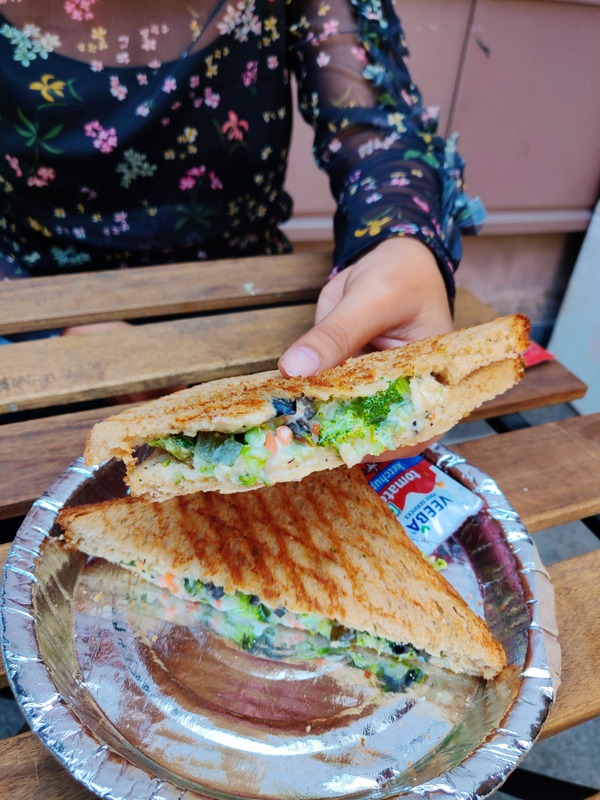 Making healthy sandwiches cool, Lite Diet is a sandwich kiosk in Kavuri Hills. The bright yellow box kiosk is located near the Maruti Nexa showroom and if you are looking for a quick snack in and around this area, go here. Especially because they make sandwiches under two minutes. Yup, we are not joking. We got our hands on Garden Fresh Lettuce & Broccoli sandwich and Italian Egg sandwich. Ask for add on toppings like olives or chicken and eat on! The egg sandwich took a couple of minutes because egg or omelettes are cooked on spot but the veg and chicken sandwiches arrive in 2 minutes. They add fat-free and eggless mayonnaise for those of you who count calories. With more than 30 varieties of sandwiches, you can try something new every time you go. The veggie sandwich is generously filled with olives, broccoli but it's the egg sandwich that stood out for us. With a bit of aachari flavour going on, we'd prefer this for our evening snack. They make sandwiches in only egg whites too. The seating is basic. They have wooden chairs right next to the kiosk and you can watch the traffic pass by as you eat. Plus, everything costs under INR 150 only. Summer is here! So, ditch their mocktails and sip on Nannari Sharbat and Badam Milk too. Although they have healthy food, they also serve deep fried food items like chicken pakoda, French fries.